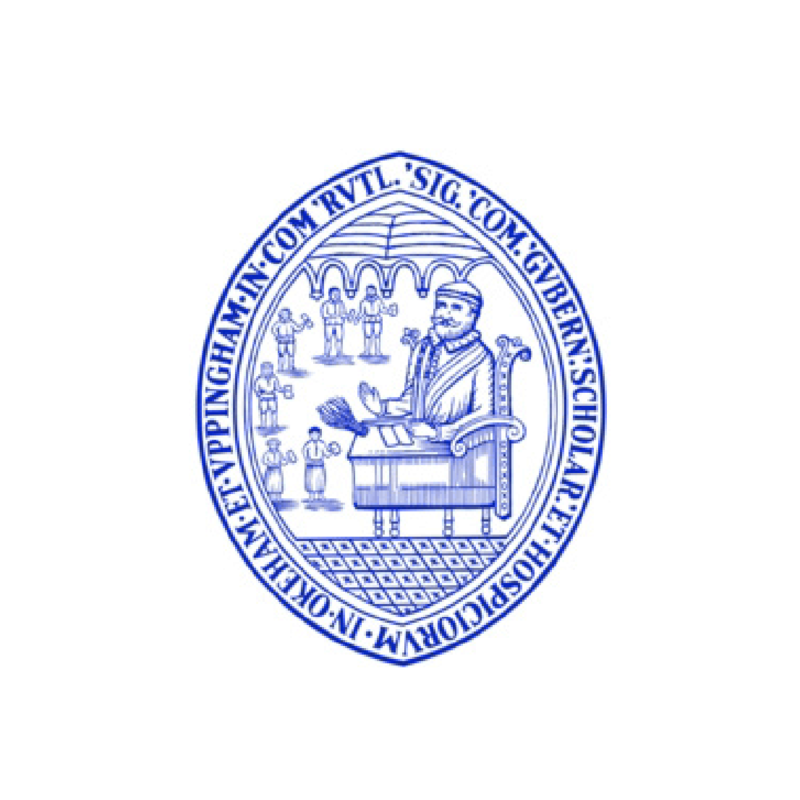 Originally founded in 1584 by Archdeacon Robert Johnson, the School’s numerous facilities are dotted throughout the town of Uppingham. A new science centre, built on the footprint of the old sports centre, includes a research centre, 17 labs, lecture theatre, departmental offices and meeting rooms. 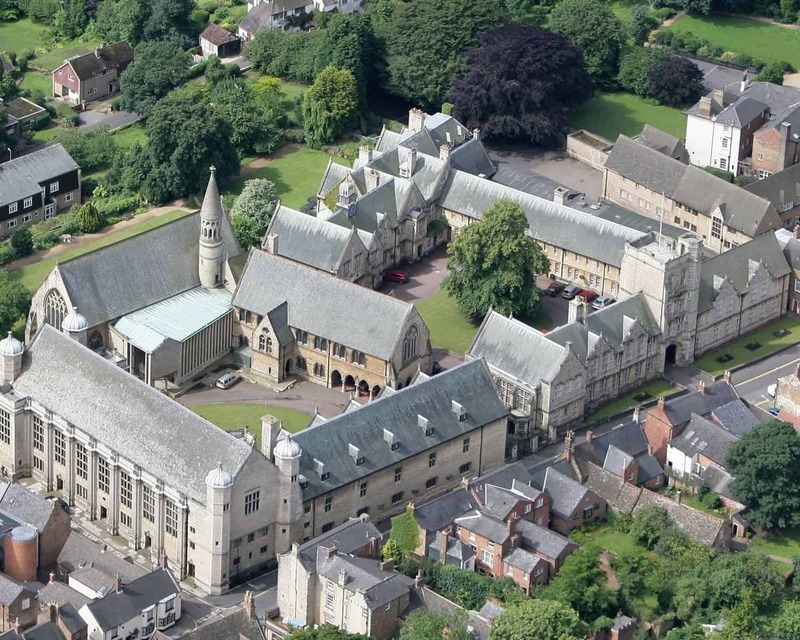 There are fifteen boarding houses on Uppingham’s 120-acre site, six of which are for girls and nine for boys. Depending on their location, they are “town”, “country” or “hill” houses. Parents and prospective students are encouraged to take a look at the houses and choose for themselves, although some houses have waiting lists. Students attend morning chapel five times a week. The prevailing atmosphere is busy and purposeful. Students are required to wear grey, black or claret uniforms for most of the days. There are also two school captains (a boy and a girl) and numerous prefects at Uppingham. Students’ results are fairly good and the teachers feel confident they deliver the best for the individual. Twenty-eight subjects are on offer at A level, maths and history being the most popular, closely followed by RS, business studies, geography, art and politics. Around 80 per cent of grades at A levels are A*-B (54 per cent being A*/A). When it comes to GCSE, that number is 62 per cent of A*/A grades. Most of the pupils take ten or eleven subjects at GCSE. Beginners and intermediate classes have recently taken up Mandarin, and IT lessons are offered to everyone. The average class size is 16 pupils (9 in the sixth form). There is also a learning support department for those with mild learning difficulties. The School emphasises the importance of identifying and bringing out the strengths of all pupils. The School was first in the country to appoint a director of music – in 1865 – and is still a leader. Music groups include two orchestras, chamber groups, jazz, wind and swing bands, chapel choir, chamber and close harmony choirs. Chapel choir is extremely popular and has performed in many places, both in the country and abroad. Students are encouraged to try their hand at everything from fine art to photography. A 300-seat main theatre, a smaller drama studio with foyer, two drama classrooms and workshop space have all contributed to the popularity of drama at Uppingham. There is a major school production every year, from Sweeney Todd to Pygmalion, along with the sixth form, lower school and junior productions and performances by visiting professional companies. Sixty-five acres of playing fields and a gorgeous new sports centre opened in 2010 help sport at Uppingham to excel. A vast choice of sports is offered, including rugby, cricket, hockey for boys and hockey, lacrosse and netball for girls. Many students play county sport, while others play at regional and national level. Students come from all over the country, from Scotland to Kent and Sussex, but many live within two hours’ drive. Around 12 per cent of students come from abroad, whereas around 10 per cent are children of former students. Pupils are considered to be very friendly, well-mannered and confident, but not arrogant. Some of the School’s notable former students are Rick Stein, Stephen Fry and Stephen Dorrell. Most of the School’s boarding houses are run by a husband and wife team who live in. There is also a pastoral matron in each house. All students have a house tutor whom they meet on a weekly basis in order to discuss academic progress. There is a rule diary and a copy is reserved for each student. Drugs, drinks and smoking are severely punishable. In one student’s words, the School has the reputation of “strict but fair”. The ideal time for application is considered to be three years before the proposed entry. Pre-assessment and an interview are required at the age of 11, and the present school’s report is needed. All students, whether they have been at Uppingham since 13 or are new at 16, must get six Bs at GCSE to progress to the sixth form. Many students decide on some of the most prestigious schools to pursue their academic career – Bristol, Newcastle, Edinburgh, Exeter, Durham, with a few going to Oxbridge each year, and one or two of them usually ending up in the US.